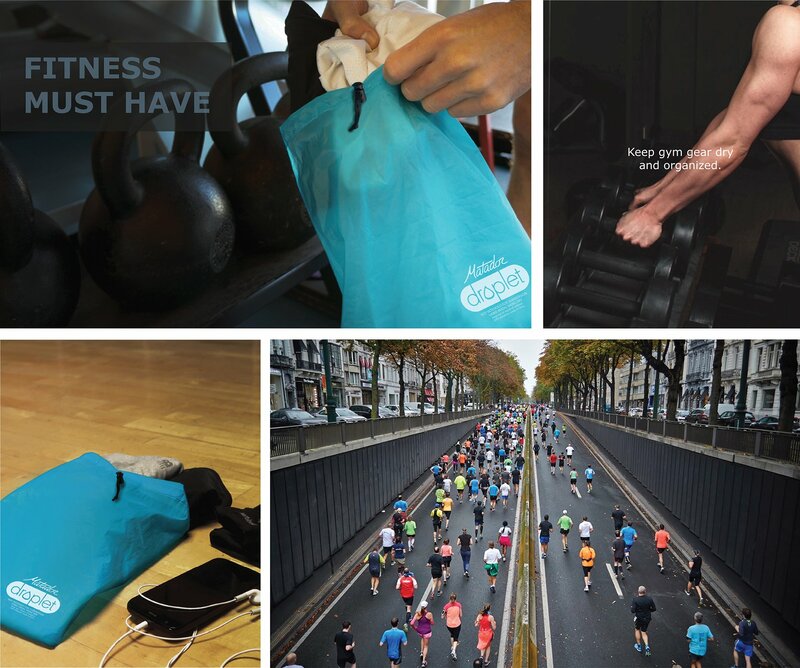 Compact enough to fit on a keychain and large enough for a whole outfit, your sweaty gym clothes and wet swim suits are no match. 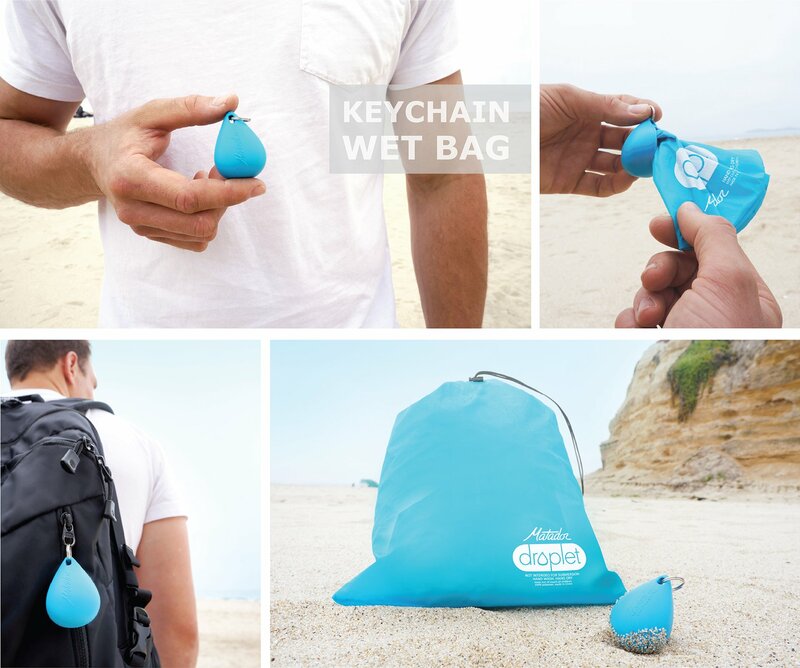 Droplet is reusable and can keep the wet in, or out depending on your needs. 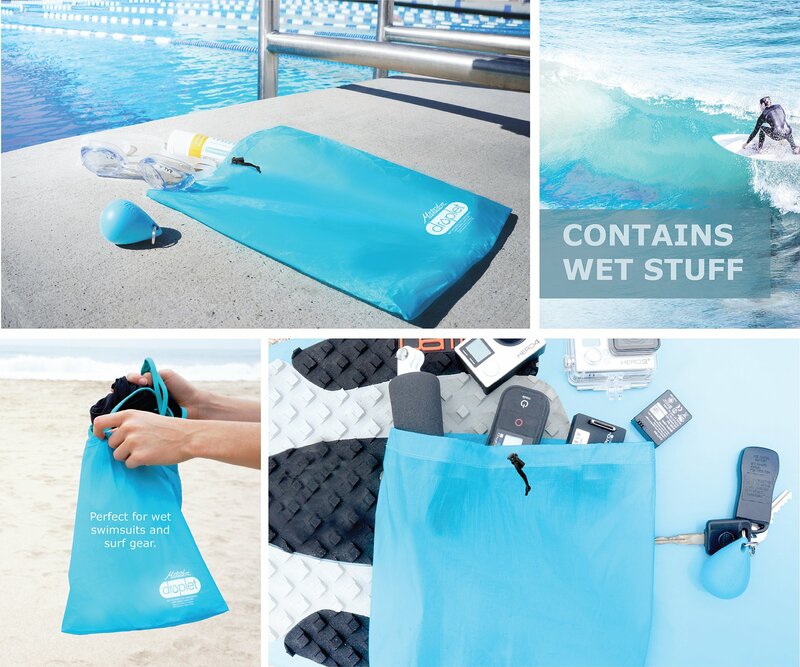 Great for those leaky luggage items or protecting sensitive gear at the beach. You'll find a million uses.